NEW YORK — Diaspora Jews are stepping up pressure on Israeli Prime Minister Ehud Olmert to intervene in a dispute in Israel over conversions to Judaism. At issue in this case is a dispute over who can perform conversions and which conversions should be considered valid by Israeli religious authorities. 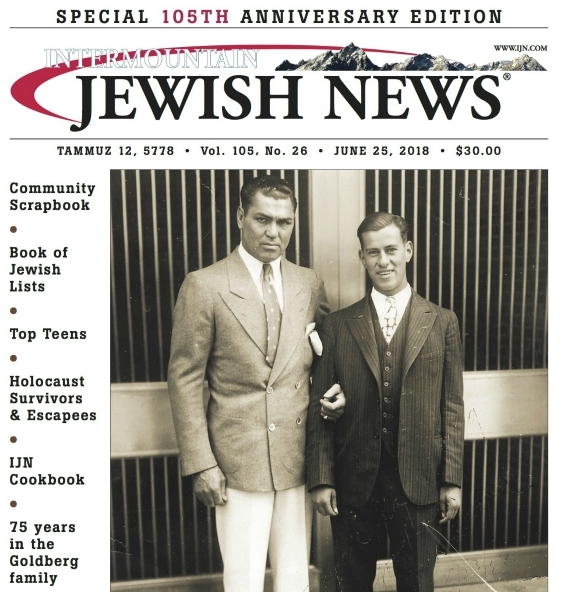 ”As leaders of the American Jewish community, we are writing to you to express our deep concern regarding the untenable instability that has characterized the conversion system in Israel over the past few months and ask for your personal involvement,” said the UJCs chairman, Joe Kanfer, and its CEO and president, Howard Rieger, in their letter. Calling out Olmert publicly is an unusual step for the UJC, which generally attempts to avoid placing public pressure on the Israeli prime minister. Conversion long has been a flashpoint in Diaspora-Israel relations and within Israel itself, as the Orthodox-dominated Israeli Rabbinate has squared off with non-Orthodox denominations over the Who is a Jew debate. The Rabbinate consistently has refused to recognize Reform or Conservative conversions, and as it continues to adopt increasingly stringent conversion standards, a growing number of Orthodox voices are voicing alarm as well. The most recent flare-up in this religious struggle came in the spring, when Israels Rabbinical High Court dismissed Rabbi Haim Druckman, the head of the conversion committee that was established to facilitate the conversion process. In dismissing Druckman, who was considered relatively lenient on conversion, the court said it would annul thousands of conversions of immigrants from the former Soviet Union that he had approved. The move rankled modern Orthodox rabbis, the Conservative and Reform movements, and the UJC, which holds that the conversion issue is central to its effort to create a sense of Jewish peoplehood between Diaspora and Israeli Jews. ”The issue of conversion has been around for a long time, and it became much more important since one million FSU Jews came into the country,” Nachman Shai, the director general of UJC-Israel told JTA. A group known as the Coordinating Committee, which is comprised of officials of the UJC, Jewish Agency and the agencys international fundraising arm, Keren Hayesod, meets with Israels prime minister three times a year, and conversion is always brought up, Shai said. While the conversion issue has been framed as a question of respecting the identity and practices of Diaspora Jews, critics of the Chief Rabbinate are stressing the predicament of an estimated 300,000 immigrants from the former Soviet Union who are not recognized as Jewish. These are people who were eligible to immigrate to Israel under the Law of Return, which requires only that a prospective immigrant have at least one Jewish grandparent. But they are not recognized by Israels religious authorities because they do not have a Jewish mother or have not undergone an Orthodox conversion. The result is a host of social problems, starting with their inability to wed Jewish Israelis, since marriage is controlled by the Chief Rabbinate. The recent letter from UJC comes at a time when many see Olmert as a lame duck because of political scandals that ultimately may force him from office. But Shai said it is an open letter to the Prime Ministers office, not necessarily Olmert. If it is not Olmert, it will be someone else, he said. As of Monday afternoon, the UJC had not heard back from Olmert, according to Shai. Officials at the Jewish Agency, which receives about $140 million per year from the federations and plays a lead role in facilitating immigration to Israel and promoting Zionist education worldwide, are irked as well by the High Courts decision and the Orthodox Rabbinates continuing attempts to hold a monopoly over conversion practices. They are particularly upset that the court has stymied its Nativ program, which helps Israelis convert to Judaism over the course of their tours of duty in the army. Hundreds would get through the courses and at the 11th-and-a-half hour, after they have made all the efforts, there would be some minuscule reason why the applicant was not given the conversion, said Carole Solomon, the immediate past chair of the Jewish Agencys Board of Governors. Druckmans firing was the last straw that forced the Jewish Agency to pressure the government for some sort of resolution, according to Solomon, now the chair of the agencys North American Council. ”It has been extremely frustrating,” she said. Orthodox leaders and organizations in America generally have urged the federation system to keep out of the debate over conversion and religious pluralism, arguing that the matter should be left to the Israeli Chief Rabbinate. Yet now even some Orthodox figures are speaking out against the recent moves by Israels religious authorities. The Rabbinical Council of America, a union made up primarily of modern Orthodox rabbis from North America, condemned Druckmans firing. But the RCA does not yet have a formal response to the UJCs letter to Olmert, according to the head of its conversion committee, Rabbi Barry Freundel. Freundel said he was skeptical about the effect of such a letter, given Olmerts political situation and the fact that the prime minister is not a religious expert and might not be able to settle the issue. The letter, though well intentioned, was a bit misguided, he said. ”I think everybody has been concerned about what is going on,” Freundel said. ”This letter is very non-specific and is very hard to react to, but matters of Jewish law should be decided by experts in Jewish law, and I don’t think he is one.